NGC 3718 lies approximately 52 million light years away in the constallation of Ursa Major. It's peculiar shape is due to its itnteraction with the nearby spiral galaxy, NGC 3729 (a mere 150 thousand light years away from it). 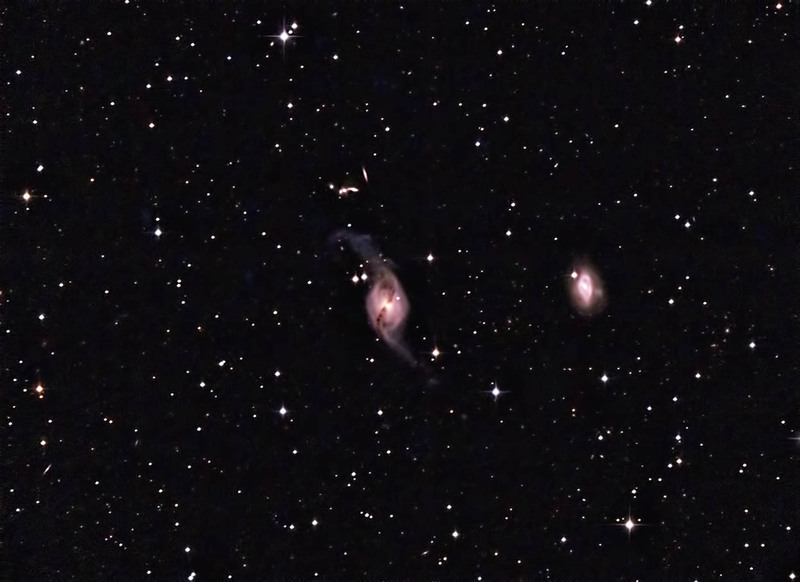 The small group of five galaxies directly above NGC 3718 is Hickson 56. This group of interacting galaxies lies 400 million light years from us. Shot from my backyard observatory in southeastern Minnesota on 3/10/19.